#14. 2Pac f/ Buckshot & Smif-N-Wessun "Military Mind (Original Mix)"
Shortly before his death, Pac flew the Boot Camp out to L.A. to record their One Nation collaboration. The project was ostensibly an attempt to unite the then-warring East and West Coasts, but the fact that both crews were still feuding with Biggie and Bad Boy at the time calls the purity of his motive into question (especially considering Pac's long standing passion for enemy-of-my-enemy unions). Regardless, the project never officially saw the light of day, though many of the tracks have leaked since Pac's passing. This one turned up on either Makaveli 4 or Makaveli 11, depending on who your bootleg man is. 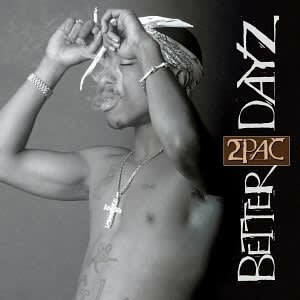 A vastly inferior remix later appeared on the posthumous Pac cash-in Better Dayz.